What is A2W all about? What is A2W all about? Home / FAQs / Reader Questions / What is A2W all about? What is A2W all about? What is A2W? A2W is short form for Avenues to Wealth. It’s as the name implies. It’s a platform for building global entrepreneurs and giving them opportunities to create wealth. It is an entrepreneurial empowerment platform. The vision of A2W is to build global entrepreneurs. The company’s mission is to help its distributors and their families enjoy the financial freedom they deserve. Would you like to earn extra income that doesn’t jeopardise your current employments ethics? Or would you love to spend more time with your children and not leave them solely at the mercies of unqualified teachers or house helps? Would you love to get a push to develop yourself and actually be motivated to read? Or do you desire positive peer pressure to help you ensure you are saving monthly towards the winter seasons of life? Do you get a kick from helping others succeed? Would you love to leave a legacy? Do you want to learn how to manage businesses and manage people? Or do you crave to be free to do what you love, because you have been able to create sufficient streams of passive income to take care of your living expenses? If any of these is Yes, then A2W is the opportunity you need! All you need to understand is How! 1. The company gives everybody access to buy a privilege pack – unique product and service bundle that helps them start out on a new business with websites, presentations materials, books, search portals, marketing sites, training videos, investment opportunities, discount deals, complimentary vacation offer, education, support, a physical product and a bouquet of so much more. You literally get access to a number of deals. 2. The company allows you to register your details before buying any of its products. This is essentially to give you an opportunity to have a tracking system within the company that allows you to be able to be referenced as the point of contact for the company for your friends who are interested in any of the company’s deals. In A2W the company doesn’t take your referring your friends for granted, the company intends to pay you for every purchase linked to you. 3. A2W gives you a product that allows you to earn by leveraging on a variety of businesses where the company already spent the start-up capital on your behalf, cutting your learning errors significantly. A2W has a Travel company with 30yrs travel experience and an IATA license, you don’t need to invest $150,000 to acquire this, and you don’t need staff. All you need is the know how, and you can be in business with A2W Travels. A2W owns an Estate company, you don’t need to have the capital to buy or build, A2W buys and builds, and empowers its distributors to become agents, landlords and much more. A2W owns a retail company, you don’t need to bet a warehouse, and order container or truckloads of products to have something to sell, you can work with the company, reduce your costs and make daily income. These are a few of an expanding list of strategic business units. The A2W Cooperative Multipurpose Society also helps you to enjoy the wisdom of the ants, to retain your earnings, and be able build them till you can purchase assets. 4. The company rewards people in 4 unique ways. You can earn daily income, weekly income, monthly income and enjoy yearly benefits. The company pays in dollars, and provides you with an option to earn active income daily, this is direct referral bonuses paid out on every sale. The company pays cycle payments weekly, this is a result not of your personal effort, but of the effort of your team. This is passive income, as you can earn these without being personally involved. There is also a leadership pool, this is paid monthly, it’s also passive and it’s income for supporting the growth and development of your team. This income is available to you only when you are Silver ranked. The last but certainly not the least is a vacation bonus, paid in kind. It’s 7 exciting and exotic days on the laps of luxury. This is a yearly reward paid to distributors who are ranked Gold and above and have displayed extra competence in supporting their teams. In A2W the biggest support is for helping others succeed! People want to know which model the company uses to reward its distributors, and which of the deals to take. Here are a few insights. 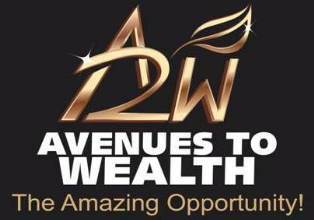 a. A2W uses a Network marketing model. Please note, many of the things people call Network Marketing either fall under two evil scams named either Ponzi Schemes or Pyramid schemes or they have fallen into Network marketing models that are designed for people who need targets, or people who want short-term quick fix solutions to their financial problems. Ponzi and Pyramid schemes are scams! Unilevel model Network Marketing companies are a lot of work, offer you short-term and quick gains, but long-term pains and stress. Because income is limited to particular genealogy, you can’t earn passively in perpetuity. The other plan people are used to are the boards – forced matrix. These are exciting like playing a game, but the nature of not being able to stay with one team defeats team work, and makes the model usually not sustainable beyond 18 months. The Binary model however, which is what A2W uses, is referred to as the fairest model in the world. It’s not target driven, no limit to earnings on the long-term, no gaming, highly sustainable, suitable for friends and family and engenders long-term friendships. The earnings are smaller in the early days, but it’s like building for the long-haul. b. The second choice you need to make is which of the deals to take. When is the time to get started with A2W? People usually want to know when the best time to get on board is. The answer is 5yrs ago, you might have made a lot with it already today. You however already missed that opportunity, the next best time however is NOW! Many people never take opportunities today because they missed it yesterday! Blessed are those people who Pass. Over. Opportunities. Repeatedly, they shall be called POOR! Now that you have known what is A2W, if you would like to make your payments, get started and be onboard, then contact me via my personal email address: [email protected] WE can succeed together if we try! If we don’t try, we already failed! If you reach me on time, you get a front row seat, it means you benefit from all my future efforts too.